CDARS stands for Certificate of Deposit Account Registry Service. CDARS is a program that allows you to spread your money among various banks, usually to stay below FDIC insurance limits at any given bank. CDARS is a way to have somebody else manage the risk of bank failures for you. 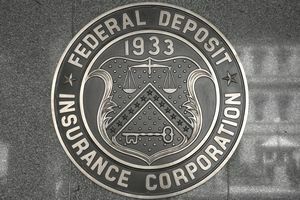 FDIC insurance is a government-backed program that protects your bank deposits. However, there is a maximum dollar limit of $250,000 per depositor. For most people, this is plenty, but some individuals and organizations want to keep more than $250,000 in the bank. The first option is too risky for most people, and the second option can be complicated and time-consuming. CDARS allows you to spread your money among various banks without doing all of the legwork yourself. Money is invested in certificates of deposit (CDs) ranging from one month to five years. To use CDARS, you’ll need to start with a bank that participates in the CDARS program. Many banks are part of the network, and you might already have a relationship with one of these banks. Make a deposit into the CDARS program at your bank. You’ll need to use a separate Deposit Placement Agreement specific to CDARS. Your bank will then split the funds among other member banks, keeping funds at each institution below the maximum FDIC insurance limit. CDARS boasts that the program offers one statement. Instead of keeping multiple accounts at multiple banks (with multiple logins and quarterly statements), you’ll get everything on a consolidated statement. As a consumer, you won’t pay fees directly to the CDARS service. Your bank pays to participate, so you’ll pay any fees typically charged by your bank. Ultimately, you’re paying for the service in the form of a CD rate (the APY) that might be lower than you can find if you shop around for the highest rates. What you get in return is a simple way to keep your money safe. CDARS is a legitimate service that has been in existence since 2003. Your money is as safe as it would be in any FDIC-insured institution – because the money sits in banks (CDARS does not take possession of any money). CDARS was created by former financial regulators and is run by Promontory Interfinancial Network, LLC. Go to each bank (or each bank’s website) and open an account. Be sure to keep your assets at each institution below $250,000 at all times – so don’t deposit the full $250,000 because the interest you earn will push your account above the limit. An alternative is to use brokered CDs inside of a single account. You’ll face other complications if you go this route, but you can keep everything on one statement (just like you could with CDARS). In some cases, you don't need to do anything. FDIC limits may be higher than $250,000 at a single bank due to how your accounts are structured. For example, joint accounts might enjoy more than $250,000 in total coverage. Trust accounts with multiple beneficiaries can also have higher coverage within a single institution. If you do everything yourself, ensure that the banks you work with are FDIC insured. To do so, check on each institution at FDIC.gov. You can also get the same government-backed protection at credit unions. NCUSIF insurance, which is equivalent to FDIC insurance, is administered by the National Credit Union Association. To verify coverage, visit NCUA.gov.